If you are joining us for a day on the foreshore lots of layers of clothing are best, as this is the north east coast of England after all. 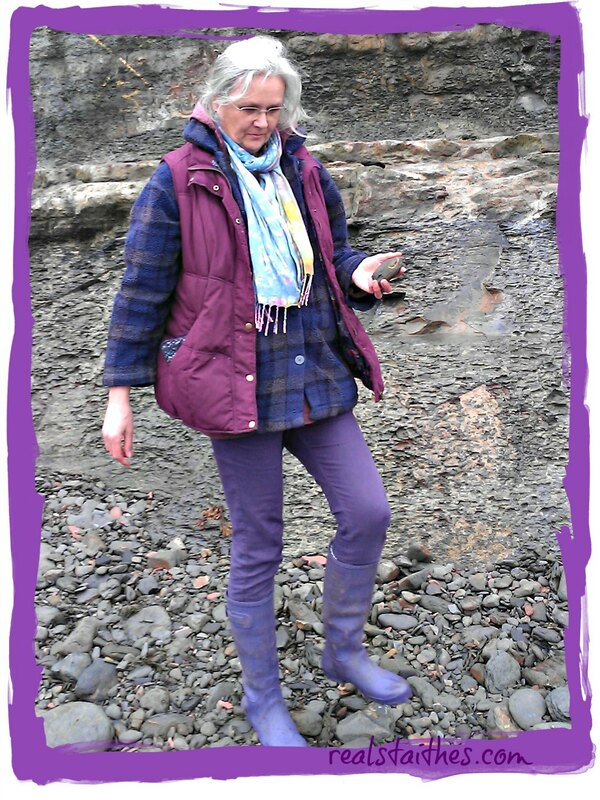 Wellington boots are far the best thing to wear on your feet as they give you the freedom to walk though the rock pools instead of trying to ‘jump’ over them, I usually miss and end up getting wet. The only thing that I’m missing in the photo is a waterproof coat but as it wasn’t raining when I set out and I was only planning to be on the foreshore for a short time I didn’t bother…. but I would have taken one if I’d been planning a full day out.